The new gymnasium roof installation is a perfect fit, whereas the Atlas StormMasterÂ® Shake combines strength and beauty, resisting high winds, harsh impact, and extreme weather conditions. The StormMasterÂ® Shake features Scotchgardâ„¢ Algae Resistant Shingles and will resist cracking, splitting, warping, or shrinking in both hot and cold weather for many years. 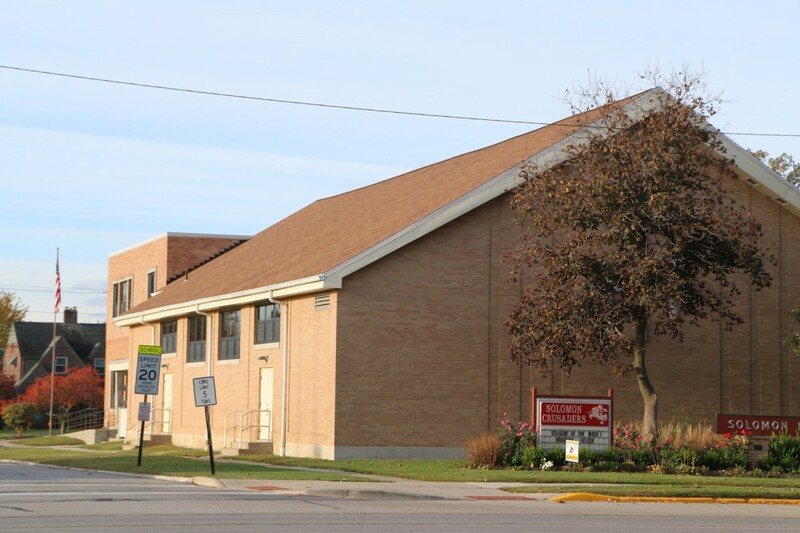 The protective power of these asphalt shake shingles will increase the value of the school, while the added dimension that comes with architectural shingles will increase the overall curb appeal of the Solomon Lutheran School, too. The Atlas StormMasterÂ® Shake has a Class 4 Impact Resistance - the highest impact rating available. It can provide superior resistance against wind and wind driven rain up to 130 mph too! Plus, the shingles were manufactured using SBS Technology which incorporates a rubberized SBS polymer to help create a more durable and longer lasting shingle while providing protection in extreme weather conditions like we have in Ohio.